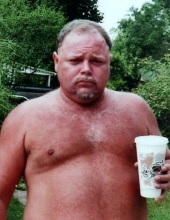 Charles Reed, age 53 of Williamsburg, Ky., passed away Thursday November 8, 2018 at Baptist Health Corbin. He was born September 6, 1965 in Whitley County, Ky. to the late Bobby and Edna Lois Hayes Reed. Along with his parents he was preceded in death by a brother Tim Reed. He is survived by a son; Josh Reed (Ashley) of Williamsburg, Ky., 1 step daughter; Megan Shoopman of Williamsburg, Ky., 2 sisters; Deborah Reed (Eric), Wilma Lindsay (Jerry) all of Williamsburg, Ky., 1 brother; Robert Reed of Williamsburg, Ky., 4 nieces; Heather Rowe, Amanda Lindsay, Leslie Ann Branham, Bobby Ann Branham, 8 nephews; Leo Branham, Leslie Branham, Brady & Hayden Minton, Logan Petrey, Gunner Rowe, Bobby Reed, Carson Morgan and a host of relatives and friends to mourn his passing. Funeral service will be 2:00 pm Sunday November 11, 2018 at Ellison Funeral Home Chapel with Rev. Richard Corbin and Rev Bob Caddell officiating. Interment will be in Maple Creek Cemetery. Visitation will be 12 pm Sunday November 11, 2018 until funeral hour at the funeral home. To send flowers or a remembrance gift to the family of Charles W. Reed, please visit our Tribute Store. "Email Address" would like to share the life celebration of Charles W. Reed. Click on the "link" to go to share a favorite memory or leave a condolence message for the family.